WHITTIER – Rio Hondo College Student Trustee Diana Laureano attended President Trump’s State of the Union speech on Feb. 5 as a guest of U.S. Rep. Linda Sánchez, using the opportunity to continue her advocacy on behalf of her fellow undocumented community members. Laureano, who is studying philosophy and political science and is part of the Rio Hondo College Pathway to Law School program, said she considers it her mission to ensure undocumented residents are seen and heard. Rio Hondo College Superintendent/President Teresa Dreyfuss praised Laureano for her outstanding representation of the College. Laureano said she attended a pre-speech reception hosted by House Majority Leader Nancy Pelosi and had the opportunity to meet members of Congress. During the speech, she was a guest in the gallery. Sánchez spoke to Rio Hondo College students in fall 2017, shortly after President Trump’s administration announced the phase-out of the Delayed Action for Childhood Arrivals (DACA) program that opened doors of opportunity to undocumented immigrants brought to America as children. Laureano came to the United States when she was 5 years old. Growing up, Laureano gradually began to understand that she was an undocumented immigrant and that her status restricted what she could achieve. DACA removed some of those limitations, and she became determined to ensure its rescission did not prevent her and others from pursuing their dreams. First, she joined an effort at Rio Hondo College to gather letters of support for undocumented students from her classmates, delivering those letters to members of Congress who opposed DACA. Laureano then joined advocacy efforts through the Coalition for Humane Immigration Rights of Los Angeles (CHIRLA) and won selection to the Rio Hondo College Board of Trustees as the student representative for 2018-19. 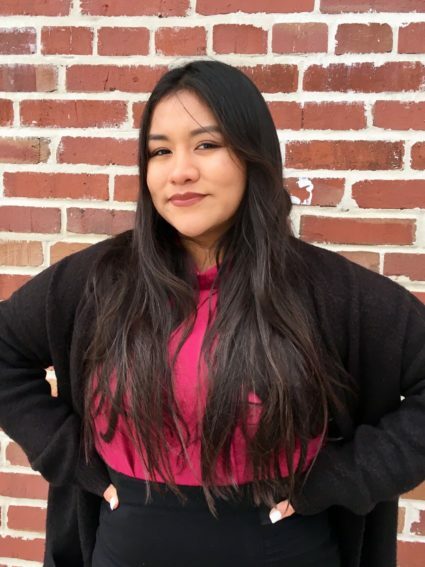 She also served as president for Rio Hondo’s undocumented club, Students Without Borders, as legislative affairs chair of Associated Students of Rio Hondo and as a steering member of the California Dream Network. “Rio Hondo College has given me so many opportunities and has opened so many doors for me that I want to make sure other students also have those opportunities. I want to give back to the community as someone who once felt her voice did not matter. I want to ensure that the voices of the students are heard,” Laureano said. Rio Hondo College Board of Trustees President Gary Mendez said Laureano embodies the best of what the College can inspire students to become. Sánchez also praised Laureano for her contributions. RHC_UNION_1: Rio Hondo College Student Trustee Diana Laureano attended President Trump’s State of the Union speech on Feb. 5 as a guest of U.S. Rep. Linda Sánchez.